Wumurdaylin, a word meaning Dragonfly and pronounced woo-mer-day-lin, symbolises renewal, freedom and beauty. Spa wumurdaylin ensures that its guests leave feeling that way. 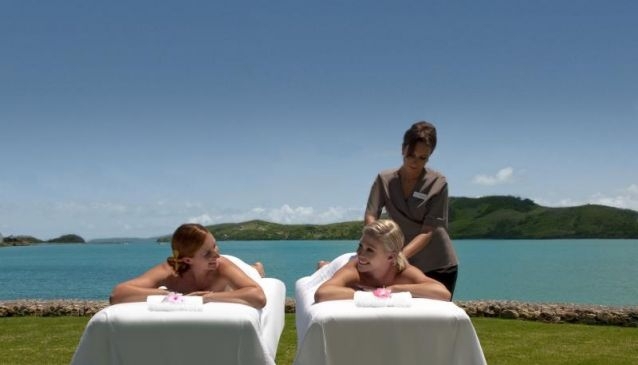 Spa wumurdaylin is the island’s first full service day spa open to every guest on the island. With 11 treatment rooms, including three couples suites, guests can choose from a full spa menu with treatments such as body cocoon wraps, exfoliations, facials, massages, body treatments, manicures and pedicures. The staff also offer alternative therapies such as naturopath consultations and Reiki treatments. It’s not just the treatments which are relaxing, the spa's decor is inspired by the natural surroundings of the Whitsunday Islands, and the ingenious one-way glass mirrors bring the outside in.